We only use the best quality panels, inverters and parts. 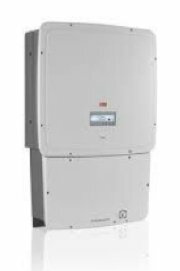 Inverters are the heart of your solar system as they play the important role of converting all that beautiful DC power from your panels into useful AC power your home can use. They also are the second biggest investment in your system and are the most likely to fail. We install only quality panels and we do stock a range of brands. Each situation is different so we match the most appropriate inverters to the applications and your budget. Sungrow are the fastest growing manufacturer in the world and in the prestigious Photon tests, their equipment was rated as “A” grade. A 10 year warranty is included and they were rated first in a recent independent tests as the world’s best inverter. Accord Electrical is committed to not only using the highest quality panels and inverters in our solar installations but also top quality switch gear and cables so we can ensure the system’s reliability and your safety. We have carefully selected our panel from a company that are the leaders in their fields and an eye on providing the best deals to you – our customers. All of the panels have 25 year performance warranties which ensures your product will be generating effectively for a long time. Phono panels are a trusted, high performance panel at a keen price. 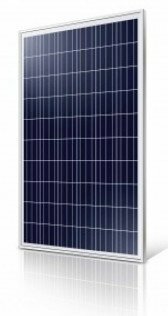 The manufacturer Phono are a publicly listed company ,they are classified as Tier 1 module manufacturers by Bloomberg and they have been approved under the Australian Solar Council Positive Quality Program. To become a Positive Quality Certified manufacturer Phono has to meet the requirements of a rigorous ongoing testing program to ensure their panels meet high quality standards. Phono panels also come with a 10 year manufacturer’s warranty. This is the often forgotten but extremely important part that keeps your panels in the right place for decades to come. What most people forget is that when you live on the Sunny Coast (or anywhere near the ocean like Noosa, Coolum, Mooloolaba and Caloundra) cheaper racking systems are far less likely to last. The mounting system we use is Grace, a purpose made product using only 304 stainless steel and anodised aluminium components. Certified for Australian conditions and complying with all relevant Australian Standards. Our racking systems come with a 10 year warranty. We use European made isolating switches from German company, Kraus and Naimer, or IMO which are manufactured in Austria. These are top quality products and are highly unlikely to have safety or recall problems like other cheaper versions, particularity Chinese manufactured ones, have had in the past. We even use the best solar cable in the world. 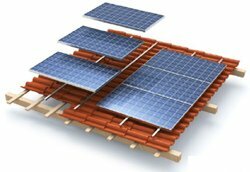 Top of the range Swiss or Dutch made flexible cables specially designed for solar applications. Once again the best products on the market. 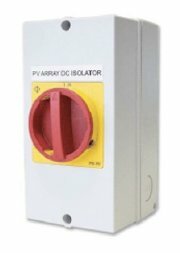 In solar installation, the DC isolator is like a vehicle air-bag. You never know it really works until you need it. So it’s good to know that the IMO SI has now surpassed two million installed units without a single recorded failure. Not surprising considering the product carries all the most important approvals including UL508i, TUV (IEC 60947-1 & IEC 60947-3), CE and CCC. In fact, the IMO SI solar isolator has been tested by some of the most rigorous examiners and OEM manufacturers in the world, passing with flying colours every single time. As ever, the SI range has a guaranteed arc supression time of under 5mS, in built arc cooling chambers, operator independent switching mechanism and Safe-Lock handle, making it one of the safest DC isolators available, no matter who uses it or how slowly they operate it.